This Gospel cover is perfect to share with anyone who would enjoy making the image come to life through color. It can be shared with co workers, friends, students, family members or anyone in your circle of influence who needs to hear more about God's love and truth! The adult coloring craze is sweeping the country. 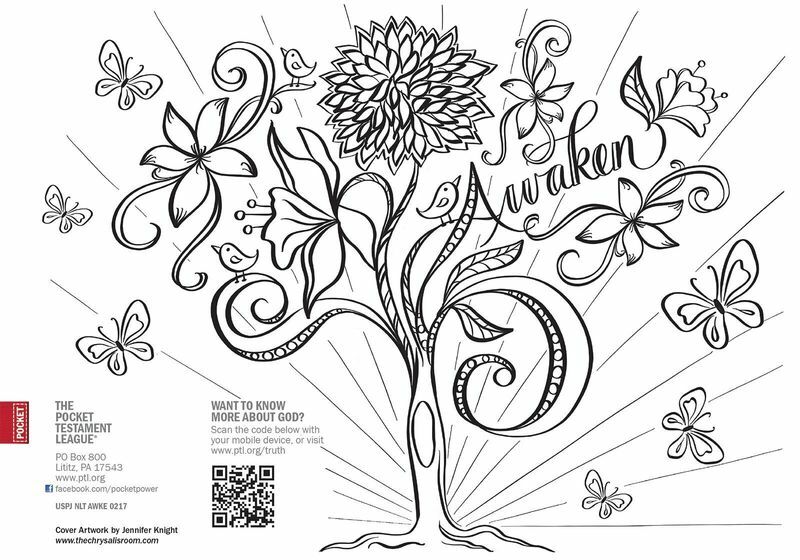 Now you can use that as an opening to share the Good News with this AWAKEN coloring book cover. Featuring a beautiful, hand-drawn illustration by fellow League Member Jennifer Knight, this cover is just waiting to come to life in color and is sure to be received with delight. Whether you choose to color it yourself or pass it along to someone for them to create their own masterpiece, you can be confident in sharing the powerful Word of God in a creative and meaningful way!